Star of stage and screen, Kim Cattrall, who was born in England, grew up in Canada and lives in the US, today began the countdown for customers to book flights on British Airways’ first Boeing 787, which is due to arrive at its new Heathrow home today. The airline is planning to serve Toronto with the 787 from September 1st and Newark, New York from October 1st, subject to regulatory approval. Cabin noise on the 787 is much less than on older aircraft types. Different pressurisation means the internal cabin altitude is the equivalent of 6,000ft, which is 2,000ft lower than on other aircraft. This leads to greater humidity, reducing the drying effect of the cabin air, so customers arrive feeling more refreshed. The aircraft’s smooth ride technology also provides extra comfort during any turbulence. Willie Walsh, chief executive of IAG, said: “The 787 is a tremendous, innovative aircraft which sets new standards for environmental performance and operating efficiency and I’m sure British Airways customers will love it. 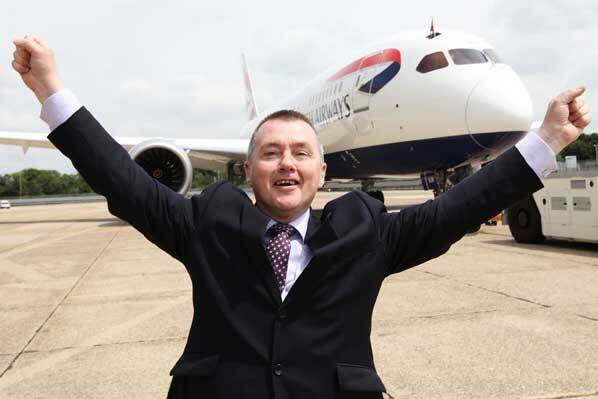 “The 787 will become a mainstay of the British Airways fleet over the next few years. British Airways has ordered 24 787s, which will arrive over the next four years. The airline has also ordered 12 A380s and six additional 777-300ERs. Over the next 12 months, it will take delivery of a new aircraft at the rate of one a fortnight. The aircraft orders form the centrepiece of British Airways’ £5 billion investment in improved customer experience in the air and on the ground. The airline is the first in Europe to operate both the 787 and the A380.